Superstar Mahesh Babu is quite occupied with the shoot of his next film titled Maharshi. Vamshi Paidipally is the director and Pooja Hegde is the heroine. Prakash Raj, Jagapathi Babu, Rao Ramesh and Allari Naresh will be seen in other crucial roles. The shoot of the film has been planned to be wrapped up by the end of February and the film will release during summer. 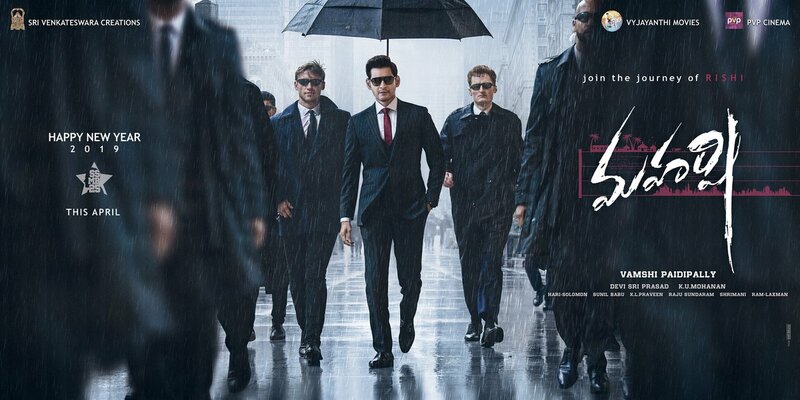 After an impressive first look poster, the second poster from Maharshi has been released today. Mahesh looks super stylish, cool and stupendous in the released look. Mahesh stuns in a suit which is set in the backdrop of USA. Maharshi is said to be the costliest film of Mahesh till date. PVP, Dil Raju and Ashwini Dutt are the producers.